Down 21-0 after the first four bouts of the night, Caldwell stormed from behind to earn a Super Essex Conference wrestling win over Irvington. 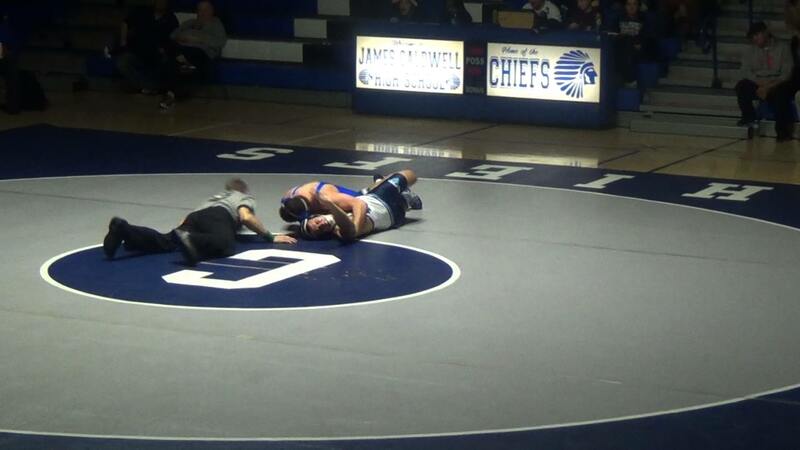 The Chiefs picked up five pins on their way to the 39-30 triumph. Gerald Jones, Dan Fano and Dean Caravela helped Caldwell work back into the match with falls. The Chiefs took the lead at 170 pounds on a pin by Christian Dalla Riva, and Ryan Schaffer's fall at 182 pounds all but sealed the deal. After a decision to open the match, consecutive pins by Brisner Xavier, Franklin Fervil and Clerson Xavier allowed the Blue Knights to seize the big early lead. Irvington is 7-5 this season, but 0-5 in the highly-competitive American Division of the Super Essex Conference. Four of the five divisional defeats for the Blue Knights have been by less than 10 points. Caldwell is 9-3 overall, and now 5-0 in SEC American competition. With big wins over Cedar Grove and Nutley already in hand, the Chiefs need a victory over Seton Hall Prep next week to secure the division title. For sports video highlights of this New Jersey and SEC high school wrestling match, click play in the box at left.